Simon & Schuster, 9780743222853, 256pp. At first, it was easy to explain away her mother's symptoms in the context of the changing times -- her mother was viewed as "finding herself" in the spirit of the decade. When challenged about her delusion of the secret war, she invoked the name of Martha Mitchell. When she exhibited florid psychosis, her aunt, influenced by Hollywood's smash hit movie "The Exorcist," seriously suggested that an exorcism might be in order. Even after she was hospitalized and diagnosed with schizophrenia in the early 1980s, Holman's mother retained just enough lucidity to appease caseworkers in a system seemingly more concerned with protecting a patient's rights than with halting the progress of a woman's desperately dangerous illness. "Rescuing Patty Hearst" is an unflinching account of the dark days during which Holman's family was held hostage by her mother's delusions and the country was beset by the folly of the Watergate era. 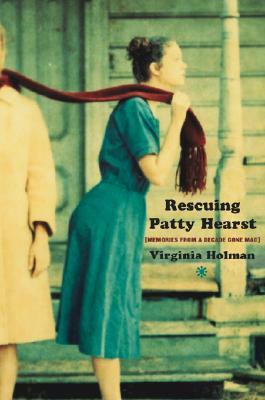 It is a startling memoir of a daughter's harrowingsojourn in the prison of her mother's mind. And, finally, it lingers as a moving portrait of a young woman defined by her mother's illness -- until at last she rekindles a family love that had lost its way.